2nd November 2015 would be my fourth anniversary as a presales consultant at Avnet Technology Solutions for the Belux region. “Would” and not “will be” because I gave my formal resignation past August and will be leaving the company at the end of September. I started out as presales consultant for Hitachi Data Systems and later on moved to the brand new EMC business unit in the beginning of 2014 as the first dedicated team member. Both positions provided me with a lot of challenges and have allowed me to grow on both personal and professional level while on top of that allowed me to work with great people, many to whom I will always be grateful for the knowledge and experience they shared with me. Thank you and godspeed! You know who you are. Since the word got out, people ask me why I’m leaving and my answer has been the same over and over again: for the past six months, I felt an urge for a new challenge, new triggers to keep me on my toes, something to force me out of my comfort zone and push me to the next level. Unfortunately, it were those things I could no longer find within my current role. The past has taught me that once I flip that switch in my mind, there is no looking back, only moving forward. Every end is a beginning. So I decided to jump and as of 1st October 2015 I will be joining the Virtual Computing Environment Company a.k.a. VCE as vArchitect in the Belux team! 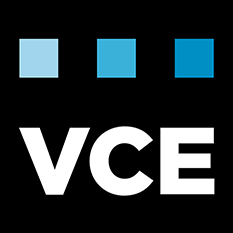 VCE, an EMC Federation Company, is the world market leader in converged infrastructure and converged solutions. VCE accelerates the adoption of converged infrastructure and cloud-based computing models that reduce IT costs while improving time to market. VCE delivers the industry’s only fully integrated and virtualized cloud infrastructure systems, allowing customers to focus on business innovation instead of integrating, validating, and managing IT infrastructure.